Hey Everybody! Reason 8 is definitely one of my favorites and it is probably one of your favorites too! It's cool and refreshing. Can you guess what it is? Reason 8: Swimming! I can't go swimming very much since I don't have a pool but I still love it. I was experimenting with some filters when I took this picture. What do you think? Reason 4, 5, 6, and 7! Hey Everybody! I know that I am behind but I will try to catch up by doing reason 4, 5, 6, and 7 today. let's get started! Reason 4: Traveling! I love to travel over the summer especially! 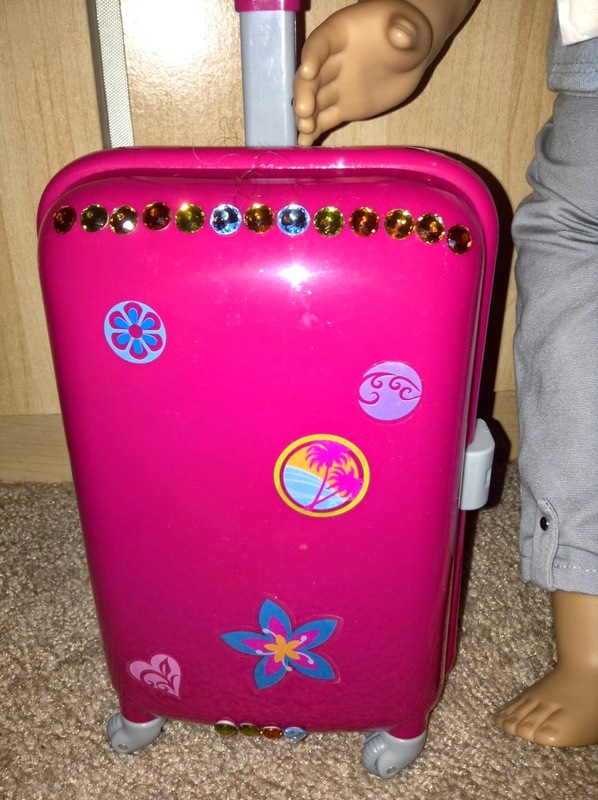 Hannah decorated this Our Generation suitcase with some gems and stickers and made it look unique and beautiful! 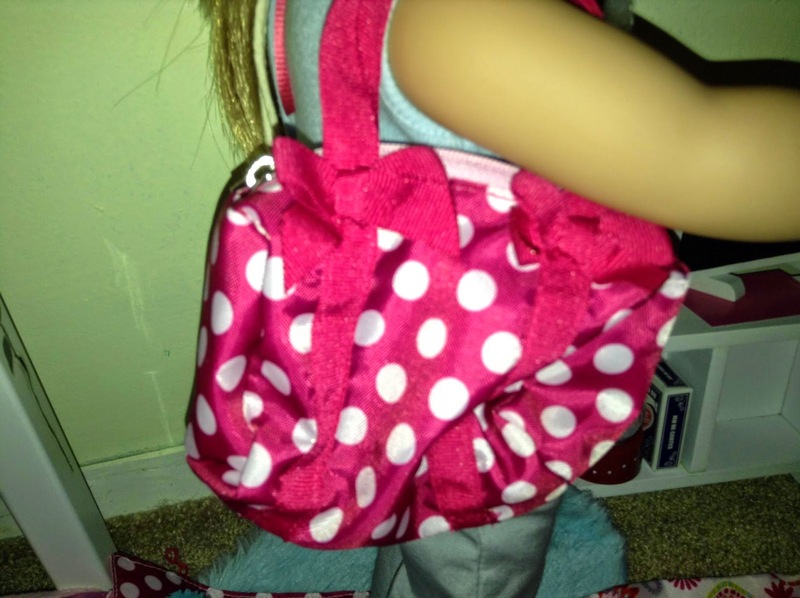 This is a carry on bag that one of my dolls will be using. Reason 5: "No more waking up at 6 A.M" You probably don't know this but I am a big High School Musical fan. When I don't wake up early I have more time to make yummy breakfasts like Pancakes. 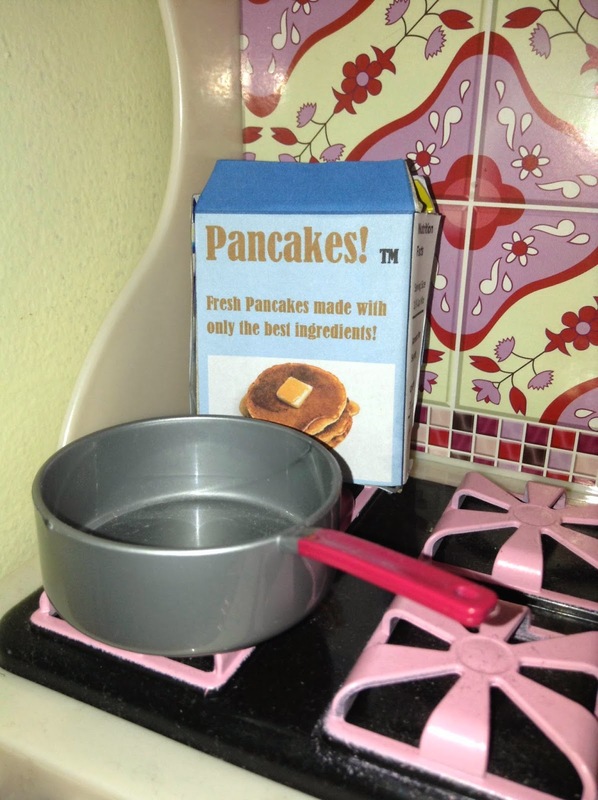 I made this pancake box myself because some of my doll's aren't so great chefs so they can't make them homemade. 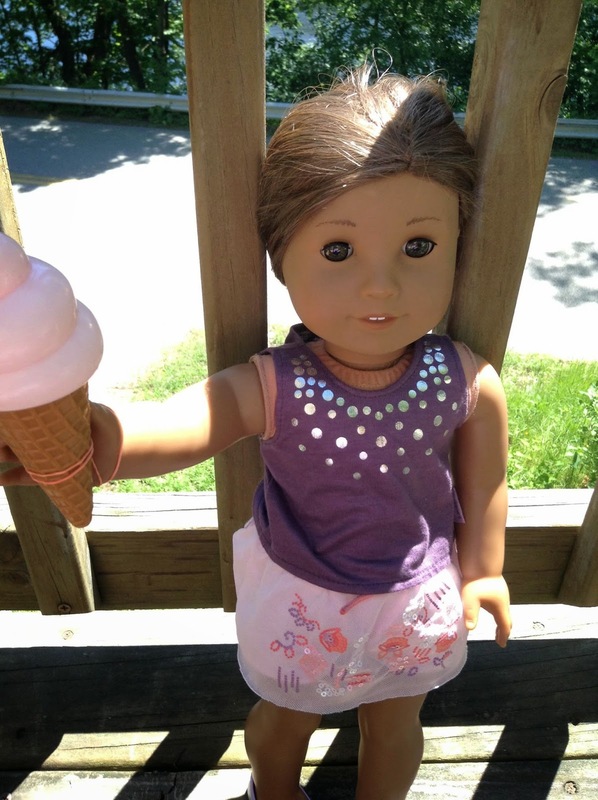 Reason 6: "I scream, you scream, we all scream for ice cream!" Reason 6 is ice cream because who doesn't love a nice, cool, and creamy cone of ice cream on those hot and steamy Summer days. 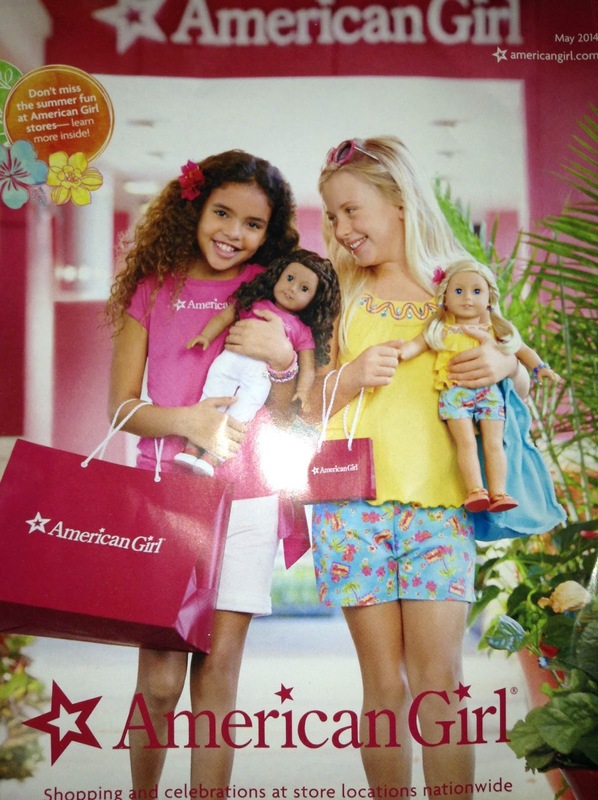 Reason 7: New American Girl Outfits! I especially love the Sunny Isle Outfit so I will be getting that soon. Hey Everybody! I just wanted to let you know that Who Wore it Best Wednesday should be back after Summer is over. Okay, now lets get to the third reason. I'm so sorry that I had to postpone for a day! For some reason my computer wasn't letting me upload pictures. 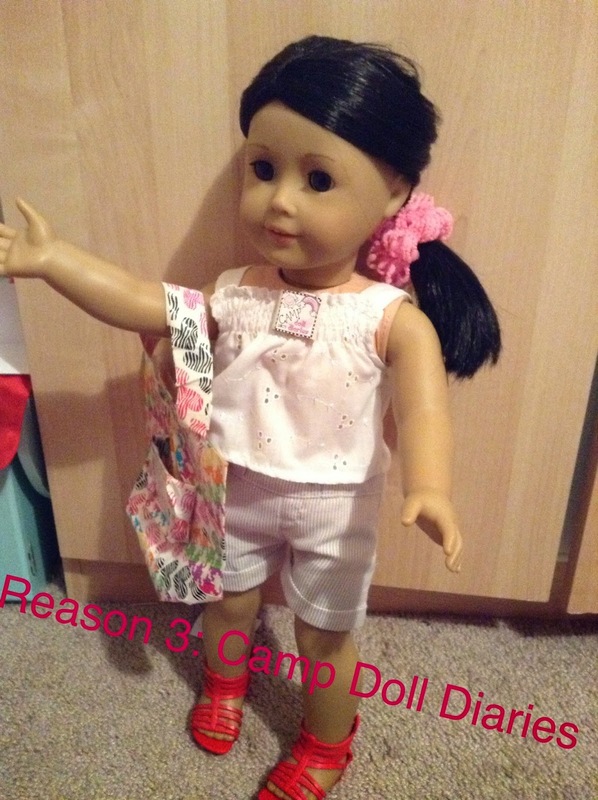 Camp Doll Diaries is the one and only, FREE online camp geared towards doll lovers of all ages! 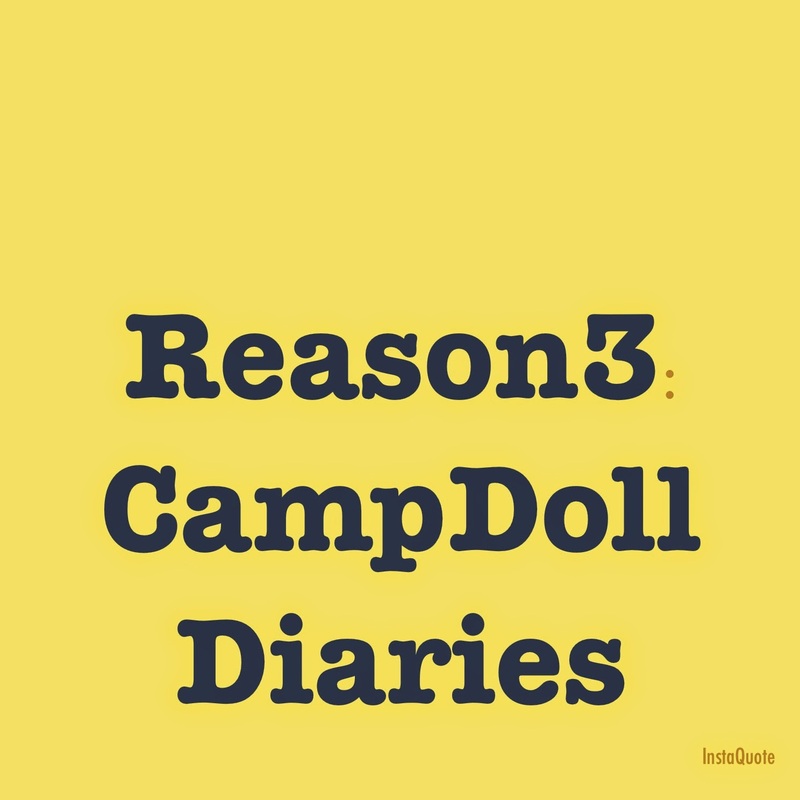 Each week, June 2 through August 29, the Doll Diaries team will have daily camp activities posted on the site including crafts, activities, printables, scene starters, giveaways and more – all designed to encourage creativity and extend play for girls and their dolls. Be sure to sign up for our newsletter, follow us on Facebook and @dolldiaries on Instagram to make sure you don’t miss a single thing this summer!! So now you should get the idea. Here is Savannah ready to go to camp! 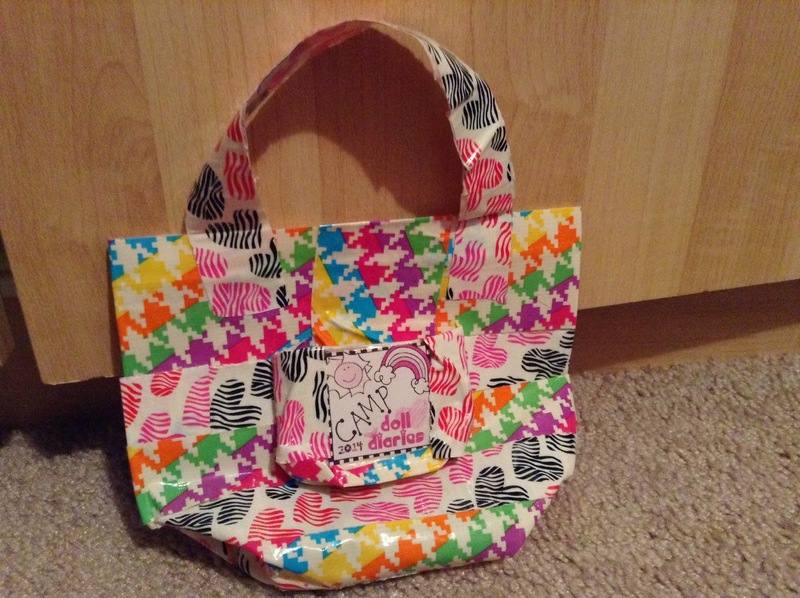 I made this duck tape bag from the tutorial from Camp Doll Diaries! 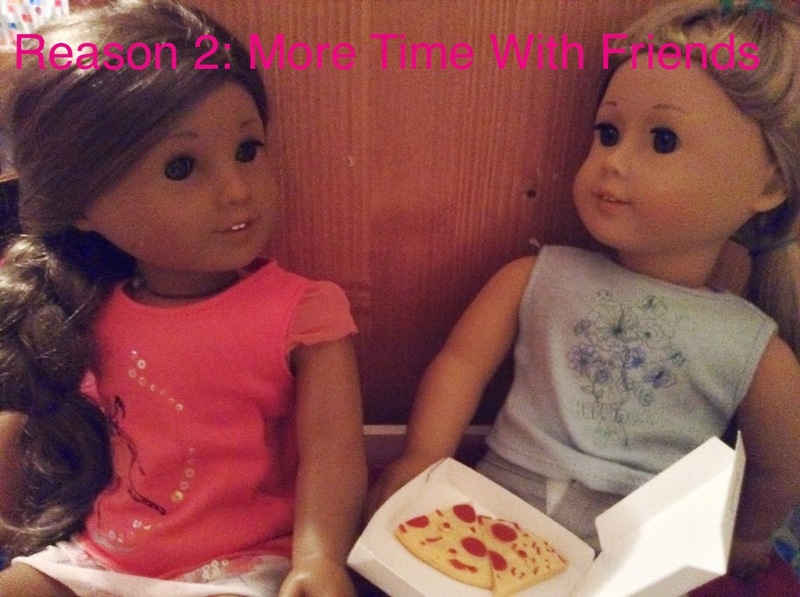 Whether it's slumber parties, pizza parties, or pool parties. 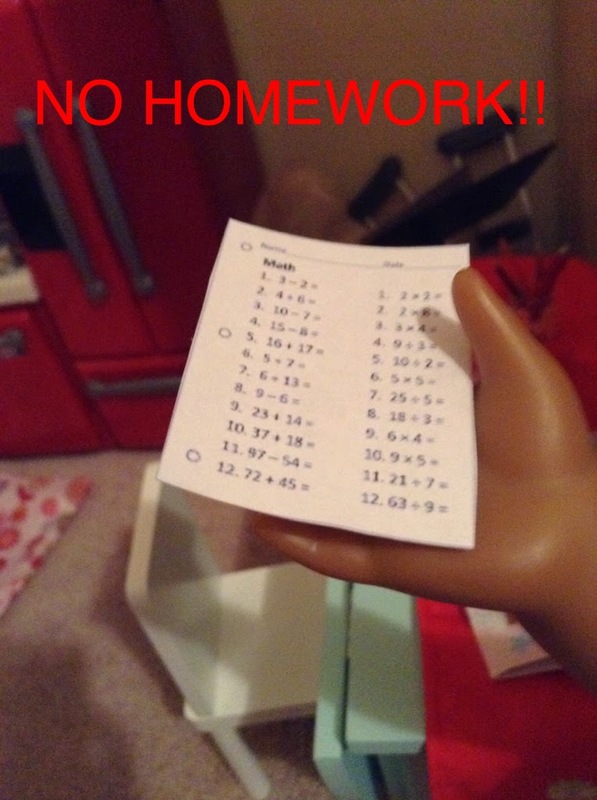 You and your friends can have a blast together without any interruptions(homework)! In this picture Isabelle and Kanani are having a great time at their pizza/slumber party! P.S Please don't forget to cast your vote! You have 5 more days but I will extend it if needed. Hey Everybody! If you read my last post you should know that for the next couple weeks till June 28th I will be doing posts about the reasons why I love summer. If you want to read that post please click here. Anyway, the most obvious reason why I love summer is probably because there is no school. Here is Kanani at her locker. She's so glad that School is over now. Doesn't she look so pretty with that braid? When there is no school there also means that there is usually no homework! Kanani is throwing away this Math sheet from My Froggy Stuff which has many other great printables! P.S Don't forget to vote on who you would like to hear from over the Summer on the side bar. I ❤️ Summer! 20 Reasons in 20 days!! Hey Everybody! I am extremely sorry that I haven't posted for more than a week!! To make it up to everyone I will be posting 1 thing I love about Summer everyday until June 28th! After June 28th I will no longer be posting on this blog for the entire Summer! Don't worry! 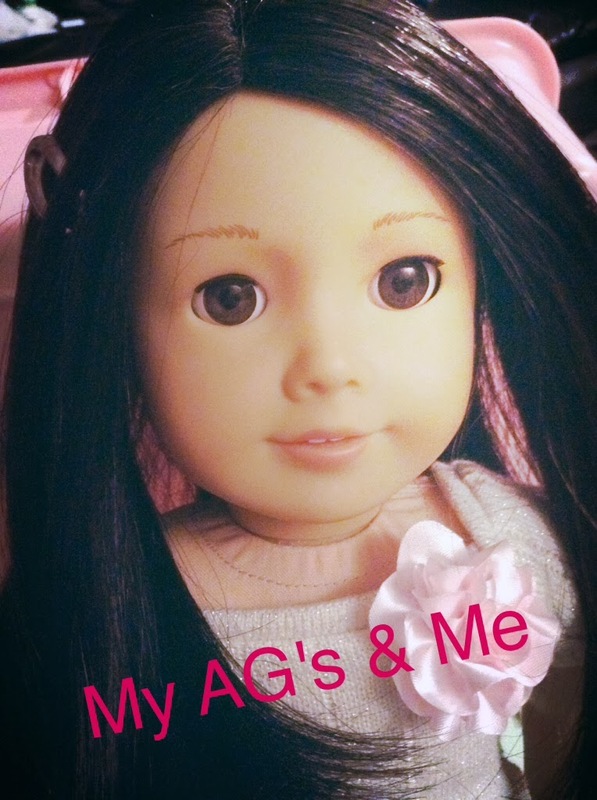 My dolls will be posting on my new blog for the summer called 2 Dolls On The Go. Which some of you may have already seen. 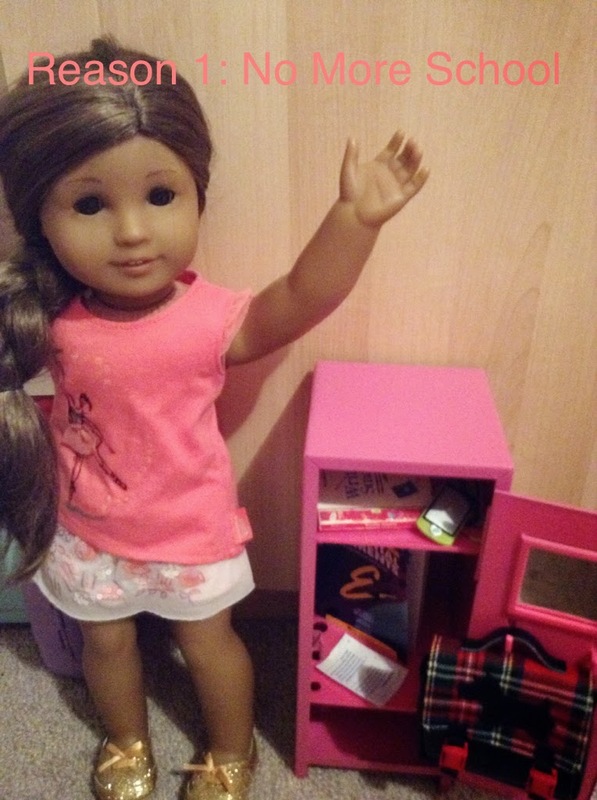 The blog is about 2 of my dolls traveling to England which is where I will be going on my summer vacation.Two of my dolls will be going (that's all I have room for) I just haven't really decided which. At first it was going to be Savannah and Isabelle but now since I have got Kanani I am not really sure. That's where you guys come in. 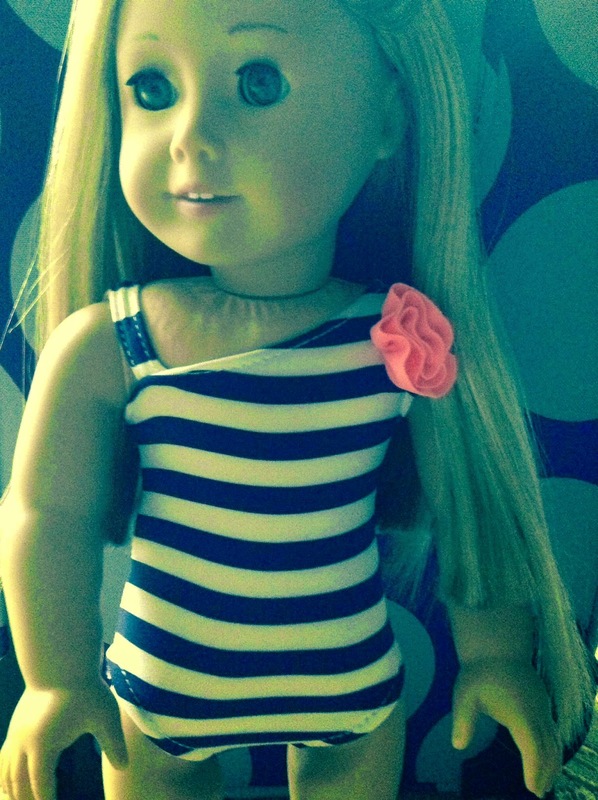 Please cast you're vote on the side bar to decide which 2 dolls you would like to hear from over the Summer. I can't wait to tell you why I love Summer!! P.S Do you like my new summer signout?